I often use this recipe as an appetiser to take the edge of my hunger just before cooking an evening meal. After cutting the leaves off the thick stems, the stems can be chopped and frozen for later use in smoothies, soup or broth. Thoroughly wash the kale - this helps reduce bitterness (even if bought pre washed). Remove stalk parts (discard or save for another dish) and cut leaves into bite-sized pieces. Bake until leaves crisp. Approx 15min depending on your oven (burns quickly so set reminder/timers at 2-3min intervals towards end). Fresh kale has less bitter leaves. 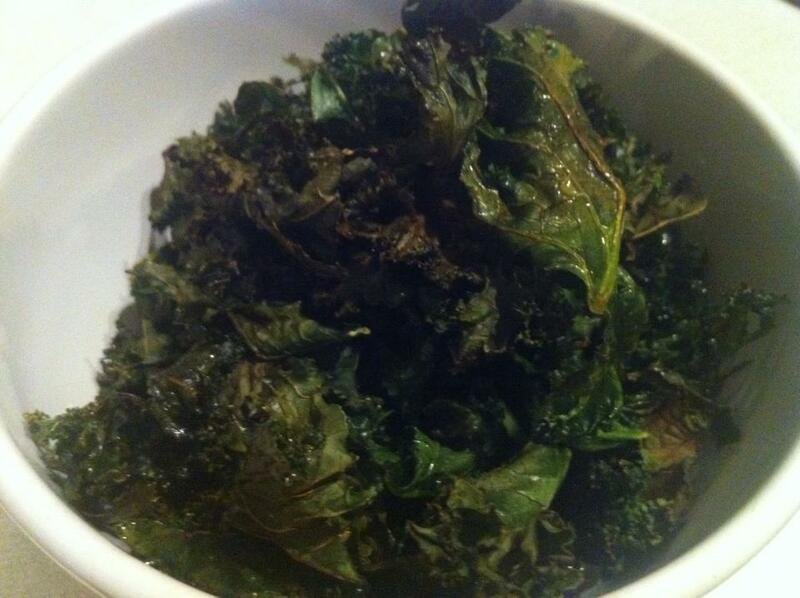 The kale can be baked quicker at 160C but watch very carefully as it can burn quicker too. Sometimes I bake it at 160C for about 10min then reduce the temp to 150C until it's fully crisped. Best served warm. Try different varieties to find your favourite.